In the right place, choosing the right suit is a man's life lesson. As a Pants Wool Suiting Fabric Manufacturer, let's take a look at the classification of suits. Firstly, according to the button layout of the suit jacket, it is divided into two categories. The first one is a single-breasted suit jacket. The most common one is a one-piece, two-piece, three-button top. In formal situations, we can choose a two-button suit top. The second type is a double-breasted suit top. In the stereotyped impression, the double-breasted is a style that only the old gentleman will choose. In fact, the most important thing is to look at the match. It is commonly used in two, four, and six buttons. Traditional men will choose a four-button double-breasted suit top. The more popular style is a two-button and six-button double-breasted top. The most commonly worn double-breasted suit for men is a six-button, gun. The collar and the square hem are placed. After the suit is opened, the split is divided into single open, double open and no open, single-row suit can choose one of the three, and the double-breasted is divided into no open and double open. First, the European version of the suit, characterized by double-breasted, waist, shoulder width, is not suitable for Asians, is more popular in the European continent, because it is more in line with the tall and burly figure of European men. The second is the English version of the suit, which is a variant of the European version. It is characterized by a single-breasted buckle. Generally, there are more three buttons, and the collar is relatively narrow. The third is the US version of the suit, which is characterized by loose and large, mostly single. The fourth is the Japanese version of the suit, which is more in line with the Asian body. The characteristic is that it is mostly single-breasted and the back of the garment is not split. 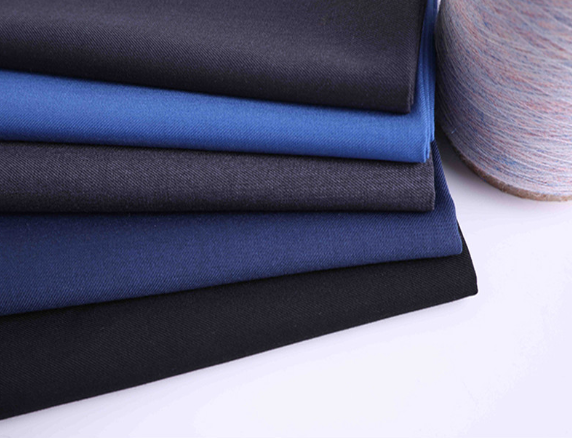 We specialize in the production of a variety of apparel fabrics, such as the Trousers Wool Suiting Fabric. If you are interested in our products or have any questions, please contact us.